Beauty plays a vital role not only in women, it also important to men. Though you are very rich, if you don’t have attractive features it is odd to look and people speak in negative manner. So don’t give them chance to comment on you. Keep looking best as possible by taking some simple steps in maintaining beauty of skin. Men also needs nourishment to skin as women. First and foremost thing to do in maintaining the beauty of the skin, start with cleansing. Seek the advice of an expert before taking any step. A good cleanser can be assisted with you in maintaining beautiful skin. Avoid soap as it makes skin dry, it is advised only to use from neck down. Select a cream cleanser if your skin is dry type, if it is oily opt for a clear cleanser. Dead skin cells can be eliminated with exfoliation and improves blood circulation on the face and helps in keeping the skin to glow. As per the recent study, Men’s face look more youthful compared to women, as the dead skin cells gets exfoliated when they shave regularly. As per the dermatologists, it is advised to apply a sunscreen lotion that contains SPF 15,but remember to apply it 30 minutes prior to stepping out of the house. SPF 30 can be recommended if you stay under the sun for long time. Sunscreen works best only when it is utilized in a correct manner. 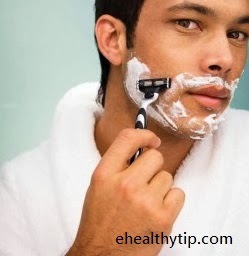 Shaving for men is quite normal but avoid shaving too often as it makes skin rough. When you have to choose for a razor, opt for a special one that is meant for a smooth skin and gel which has moisturizing properties. Avoid shaving products that contains alcohol and parabens as they make skin dry by washing off the natural oils from the skin. 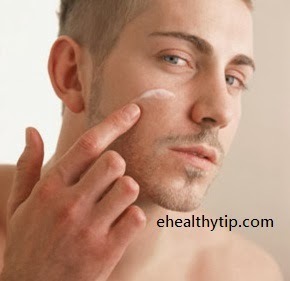 Men usually contains oily skin compared to women, so they get wrinkles early. In this situation it is advised to use a light weight moisturizers and a nourishing cream. Moisturizers helps better when the skin gets dried and itchy sensation occurs regularly. By performing the above mentioned tips regularly, smooth and beautiful skin can be ensured without spending much on costly and lavish products. been damaged by the sun.